SENSAPHONE designs and manufactures the most comprehensive line of remote monitoring systems available to safeguard your property. 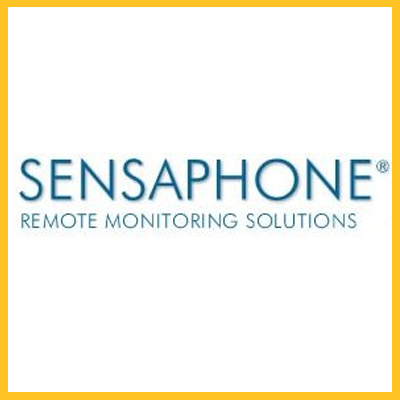 SENSAPHONE’s remote monitoring systems report critical data to you wherever you are and whenever you need to know. SENSAPHONE developed its first system twenty years ago, to fill a need in the industrial market: No device existed that adequately monitored conditions at remote sites. Individuals and industries needed the ability to identify critical variations in conditions when no one was on hand to observe them directly. Even the very first SENSAPHONE systems met those needs. They quickly and reliably dispatched critical information to personnel and/or higher-level systems. Today SENSAPHONE entire family of monitoring and control systems ensure that environmental and process conditions in remote sites never turn into a disaster. More than that, they provide a far broader range of features and applications for users to choose from—at an affordable price. Home owners can monitor their vacation homes or vacant houses for security with our 1100 series models. For industrial users SENSAPHONE offers models that not only monitor their remote sites and processes, but also control processes, open and shut valves and circuits, display real-time monitoring, or even post current conditions on a web page that their staff can access from anywhere. Their IMS Solution systems expand SENSAPHONE monitoring to the world of networks and IP devices, offering true scalable infrastructure monitoring. SENSAPHONE meet every communication need, too. They not only phone in alarms, they also page, send faxes, and e-mail. Systems also offer customizable voice messages, data radio and cellular communication, data and event logging, and SNMP alarm notification. With nearly a quarter of a million systems in use today, SENSAPHONE offers the highest quality products available, the best product support, and the best customer satisfaction record in the remote monitoring industry. 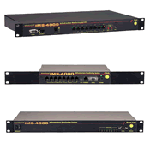 SENSAPHONE IMS-4000 – The Sensaphone IMS-4000 system is a stand alone infrastructure monitoring system with an integrated voice and modem, an internal UPS, flash-disk storage, and a web server, in a simple-to-install 1U rack mountable package. Whether you have a small room, or a large data center, the Sensaphone IMS-4000 System provides complete monitoring for your computer facility. It is designed to monitor your entire infrastructure, which includes the environment, the physical security, and the network operation. SCADA 3000 Flexible Control – The SCADA 3000 is the most advanced system. Flexible communication options allow the SCADA 3000 RTU to communicate with a host PC through standard RS-232 serial, radio modem, ordinary telephone lines, or a mix of all three. The Sensaphone SCADA 3000 will call you using your own pre-recorded voice messages to alert you to the situation, or contact you via fax, text message, numeric pager, or email. Sensaphone Web600 provides flexible web-based remote monitoring at an affordable price. Keep track of critical temperatures and other conditions and be notified immediately when current values exceed the normal range. Completely standalone and easy to use, the Web600 can be used for monitoring cold food storage, medical cold storage, and other temperature sensitive areas like computer rooms and data centers. In addition to temperature monitoring, the Web600 can also read values from humidity sensors, air quality sensors, water leak detection sensors and much more. Sensaphone STATION Sitter provides the same 8-channel monitoring power as the Sensaphone 1800, but adds the convenience of duplex pump control logic for industrial Fill or Drain applications. Sensaphone Express II features advanced monitoring capabilities, plus allows for expansion of to 40 input/output channels. Easy to install, program, and expand, Express II can meet the needs of your system both today and tomorrow. The Express II is as flexible as your application requires, with features like built-in power failure monitoring, 8 universally-configurable alarm inputs, and an on-board relay output for manual or automatic switching.